I just love when I see little creatures doing things that are a bit out of the ordinary. That’s how this story was born. One night, long after Christmas was over, my husband and I sadly took the lights and ornaments off our Christmas tree. Since it was dark, we tossed the tree onto the front lawn and planned to move it to the curb in the morning. Later that night I had to run to the store. I jumped into the car, drove off and returned a few minutes later. As I pulled into the driveway, I noticed two eyes reflected in the headlights. They were looking at me from under the tree. Hmm, I wondered what it was. I only had to wonder for a moment because a chubby little cotton-tail bunny scooted out from under the tree and hid in the holly bushes. It wasn’t long before I had to go out again. Back in the car, I drove to the store and pulled into the driveway about an hour later. This time, reflected in the headlights, were four eyes, staring out at me from under the tree. The chubby little bunny had a friend. That’s all it took to get my mind going and by morning I had a story brewing. So you see, I took a real event and began to build layers of ideas and soon my imagination took over. The end result was a story about friendship, patience and hope. 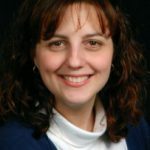 I had a story that I was happy with, and then I needed to find an illustrator who could create characters that were part whimsical, part realistic. I searched websites, I looked at portfolios, and found A.T. Baron. And guess what? She lived not too far from me! We met for coffee, we talked, she sketched, we talked more, she erased, she sketched, and when we were finally happy with the beginning ideas, Angela took her sketches home and began to work. What fun it was to see the little animals come to life! 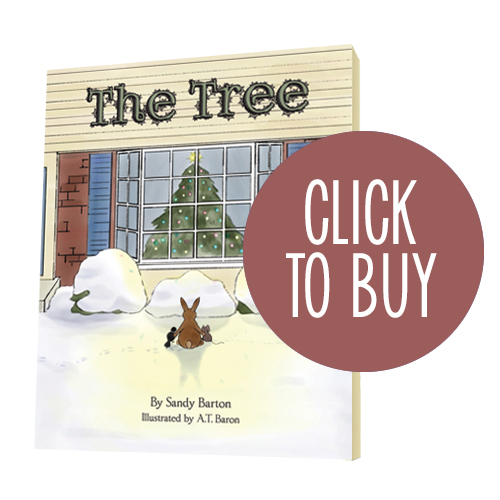 The Tree was my first attempt at a picture book and what a wonderful adventure it was. I do hope that you’ll enjoy reading it as much as I enjoyed writing it.